Bryce Harper, meet the only player who could command a bigger contract than you. After Harper inked a monstrous 13-year contract this offseason with the Philadelphia Phillies, it was only a matter of time until Angels outfielder Mike Trout broke Harper's record and signed the MLB's biggest contract ever. It turned out to be a wait of only weeks, and Trout reportedly has signed a 12-year, $430 million contract. 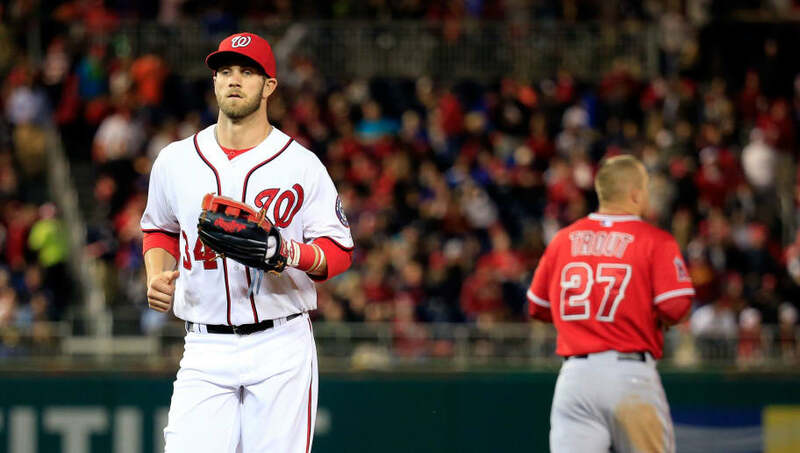 Harper told the media on Wednesday that he texted Trout to congratulate him. Harper certainly got his wish. While Trout's huge contract may look intimidating to some, considering his worth on the field, he deserved the biggest contract ever in the MLB, with his play largely unparalleled. Trout is going to be in Los Angeles for a long time, and good on the Angels. Losing a player with the potential to become one of the greatest of all time would be a tragedy, and the franchise is smart enough not to make that mistake even if it comes at a huge cost. With questions about the future settled, Trout can turn his attention to help the Angels make the playoffs. Los Angeles is in the midst of a serious postseason drought, but with Trout locked up with the future, it sure seems like things will change for the team soon.